The Golden Globes and the Academy Awards may disagree on a lot of winners, but sometimes they manage to pick the right person at the same time. In fact, the Globes have proven particularly successful in predicting the Oscar winner for Best Actor. But which winners were the best? 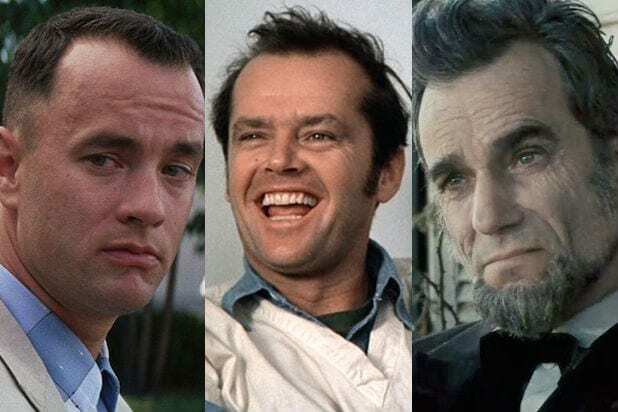 The mid-1990s were all about Tom Hanks, with the “Philadelphia” and “Forrest Gump” star becoming the first actor ever to win consecutive Golden Globes and Oscars for the same performances. Jack Nicholson was already an established star by 1975, but it was his performance as Randall P. McMurphy in “One Flew Over the Cuckoo’s Nest” that made him a Hollywood icon and established the Nicholson persona that we still remember today. Daniel Day-Lewis was something of a surprise choice to replace Liam Neeson for “Lincoln,” but the Englishman turned in arguably the finest performance of his career, making him the first actor to win three Academy Awards for Best Actor. Vote for the best actors to win an Academy Award and a Golden Globe for the same performance.